The new rainbow crosswalk installation on Cowrie Street in Sechelt is prompting some questions from the public. It couldn’t be done by contractors on the Coast. Julie Rogers, Communications Manager for the District of Sechelt said the District initially contacted a local contractor who said they don’t do that kind of work but referred them to some other contractors who do. Quotes were received and a contractor was chosen from those. Rogers said it was also more expensive than your average two-line crosswalk. It cost 12,000 dollars but Rogers said it’s expected to last 15 years or more as opposed to the standard crosswalk that costs 2,000 dollars and needs to be repainted annually. 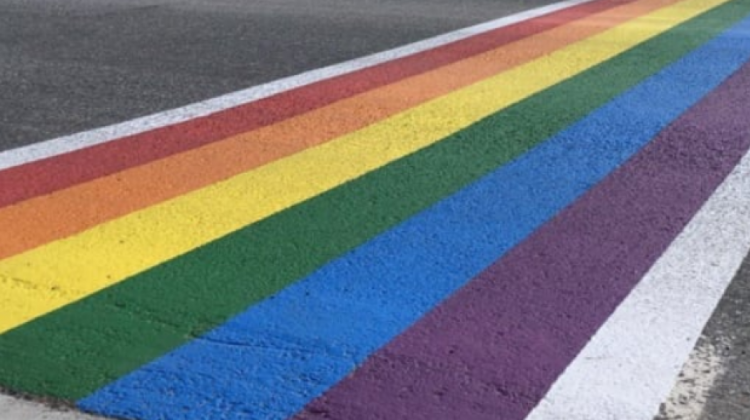 Rogers said the rainbow crosswalk installation should be embraced as a reflection of diversity and inclusion in a community.